It’s that time of year when the clubs at the bottom of the Premier League start to get a little bit panicky, and the managerial merry-go-round has been in full swing over the last few weeks. Neil Warnock was the first manager in the top flight to be relieved of his duties, to pave the way for Alan Pardew’s defection from Newcastle. West Brom decided enough was enough for Alan Irvine in-between those two changes, and that makes a total of three casualties so far this season. Incredibly, ten Premier League managers lost their jobs last season, so we can expect one or two more to go over the next few months, and there are sure to be a few chairmen out there with itchy trigger fingers. Alas, we stopped short of tipping him to be the first to go, and didn’t have any money down! On the face of things there appear to be plenty of contenders for the next manager to leave his post, but on closer inspection, many of the current incumbents are probably quite safe. Let’s look at some of the options. Everton’s poor recent form has persuaded most bookies to make Roberto Martinez the market leader for the sack race, but he looks like a false favourite to me. The Merseyside club have a record of sticking with their managers, and Martinez was brought in for his ability to develop young players and work within a limited financial framework. Yes, their form has been poor over the last few weeks, but they’re still in the Europa League and the FA Cup, and it’s surely a matter of time before they start to climb the league. The club stuck with David Moyes through a disastrous season when Everton finished 17th, so there’s reason to believe that they will give Martinez as much time as he needs to turn things around. Bruce is another man who looks to be in a false position at the top of the market. He recently ruled himself out of the Newcastle job, and after talks with the chairman, both men came out and expressed how pleased they were with the discussions. Hull are a well-run club and have tried to gradually improve and consolidate in the Premier League season after season. Bruce was quoted at the start of the year as saying that this was the best squad he’d ever managed, and although results have been poor for much of the season. a couple of recent victories have lifted them to 15th in the table. A drop into the relegation zone could see him in hot water, but his target at the start of the season was probably survival and as long as he looks like achieving that, Hull will want to keep hold of him. Next in the betting is Harry Redknapp, but again, he doesn’t really appeal. The transfer window is Redknapp’s time in the limelight, and no doubt we’ll see him hanging out of a car window discussing players with journalists over the course of the next month. QPR owner, Tony Fernandes, seems to have ultimate faith in the man who brought them back up from the Championship, and it’s hard to argue with Redknapp’s experience and knowledge of the game. With Tony Pulis taking up the job at West Brom, who would QPR realistically turn to if they were going to sack one of the Premier League’s most experienced men? They’ve probably already got the best man in place to battle for Premier League survival, so there’s no reason to change. 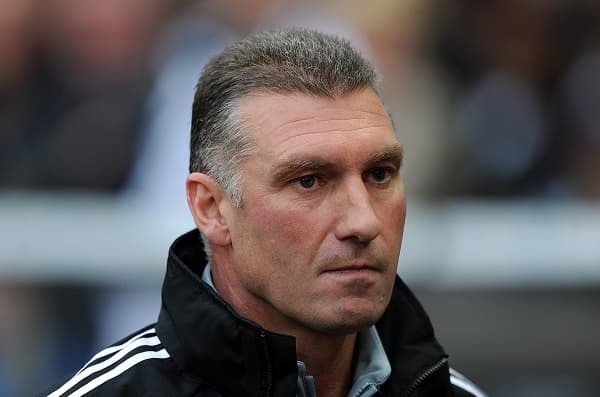 It’s been refreshing this year that each of the promoted clubs seem to be giving their managers as much backing as possible, but football is a results business, and Pearson looks to be treading a fine line at Leicester. He admitted himself some weeks ago that the performances were probably the only thing saving him from the sack, because although they were losing games, they were actually playing quite well. They found a win against Hull out of nowhere a couple of weeks ago, and followed that up with a 2-2 draw at Liverpool and a 1-0 FA Cup win over Newcastle. However, they remain adrift at the bottom of the table, 4 points from safety, and a few more bad results could see panic in the boardroom. Leicester have invested quite heavily to get to where they are, and the board will be desperate to maintain their position in the top flight. When it gets to this point, the owners begin to wonder how long they should leave it before getting in a new man, and giving him a realistic chance of surviving. Leicester have home games against Villa and Stoke next, before travelling to Manchester United. Anything less than 4 points from those two home games could be disastrous for Pearson. Poyet is another manager who always looks like being a couple of defeats away from danger. Sunderland had a poor start to the season and that’s why they can’t quite escape the relegation battle at the moment, but performances have improved over the last month or so. They’ve only lost three times in their last ten matches, and two of those were against Manchester City, so he may have given himself a stay of execution. A few good results should see him safe for another season, but a few poor results could bring Poyet right into the mix. He would be our next choice after Pearson.